The nominations have been announced and HRB has had three of its entries shortlisted for awards in the National Hospital Radio Awards 2014. In the Special Event category, Neil Ogden's programme TV Centre The Final Tour has received a nomnination. 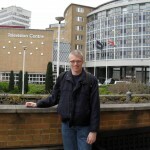 The show was recorded at the final public tour of BBC TV Centre in February 2013 and talks to some of those who have worked there in the past as well as trying to convey the atmosphere of what was an emotional afternoon. 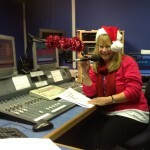 In the Best Female Presenter category, Christine Rowley has once again been nominated. Finally, HRB can claim to be one of the top 10 statiosn in the UK having been nominated in the big Station of the Year category. The awards, which have been judged by those working in both the radio industry and the health service, will be presented at a gala night in Bristol at the end of March.